President Gayle Todd, Speakers Nancy Dickerson and Marge Comer, and 2nd Vice President Cecelia Weston. The Holden Beach Beautification Club kicked off another year on Wednesday. President Gayle Todd introduced the theme for the year “Our Members are the Flower Power of the Community” which emphasizes the importance of our members to our Club and to the community! 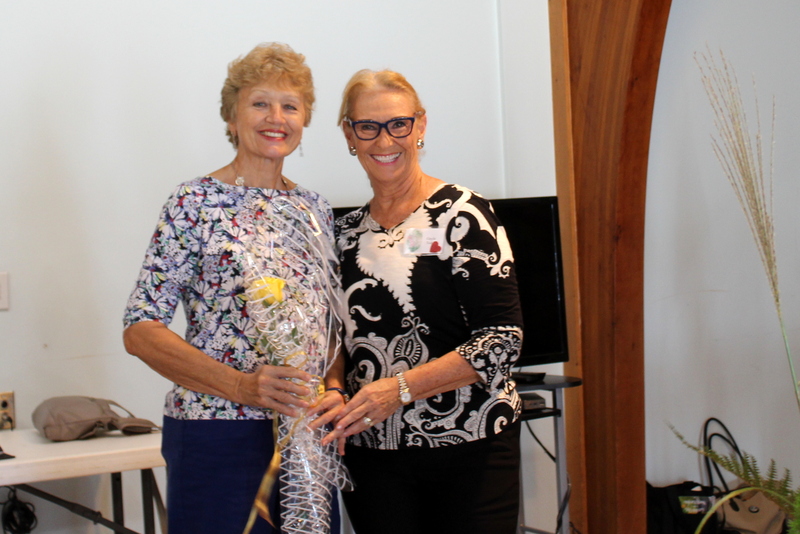 Gayle presented Joyce Lanning with a yellow rose in recognition of becoming a Golden Gardener. Joyce has been a member of HBBC for 15 years. 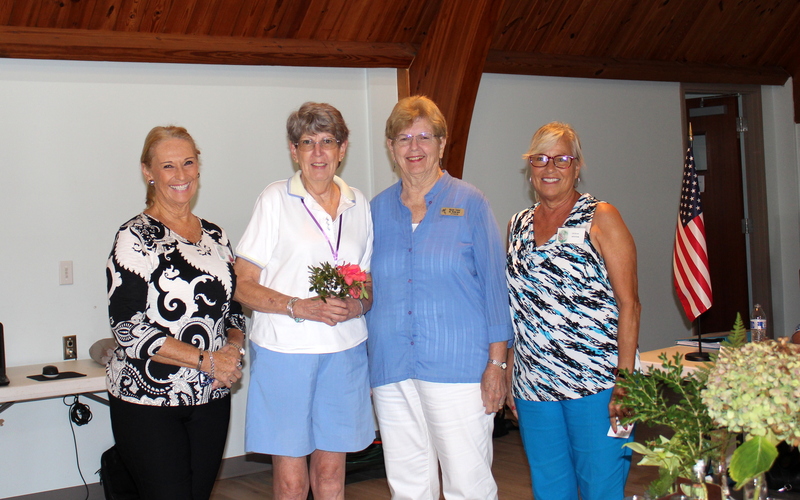 Our speakers for the meeting, Nancy Dickerson and Marge Comer, introduced us to Preparing for a Small Flower Show – which is on the Club’s calendar for the spring. Members received their Yearbooks, heard from the committee chairs about the upcoming year, adopted the budget and voted to create a “Supporters” role for our hardworking spouses and significant others. Hostesses for the meeting were Dolly Mitchell (chair), Ros Stokes, Jane Ivey, Kate Felmly and JoAnn Burke. Our next meeting is October 10 and our speaker will be Judy Thuer on “Making Pollinators in your Gardens and Containers Happy”. Everyone is welcome to attend. See you then! 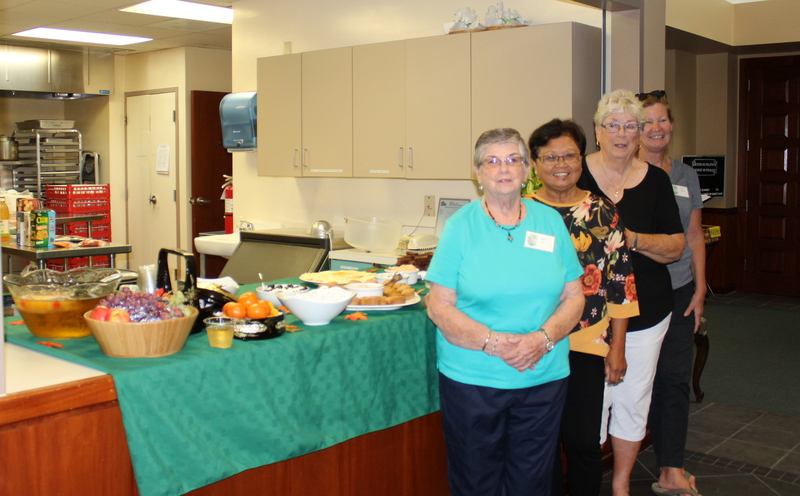 Hostesses Jane Ivey, Ros Stokes, Dolly Mitchell (chair), Kate Felmly and JoAnn Burke (not pictured). Golden Gardener Joyce Lanning and President Gayle Todd. This entry was posted on October 6, 2018. Bookmark the permalink.